At the exhibition Look! Polish Picture Book! 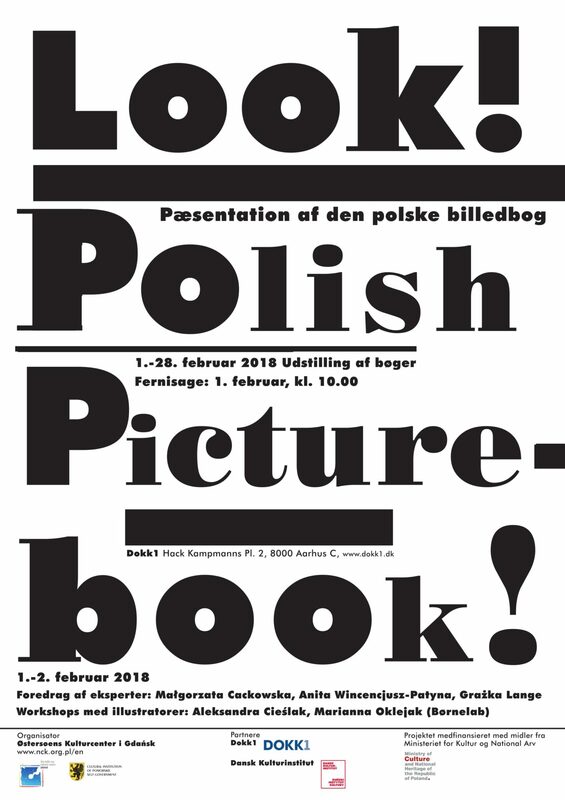 you can experience the celebrated Polish tradition for illustration, all the way from the 1950’s to our time. The exhibition arrives in Denmark on 2/1, and will be displayed in both Aarhus and Nørrebro. On 2/1/18 the doors open for the exhibition Look! Polish Picture Book! at Dokk1 in Aarhus. The visitors will be able to experience the long and rich Polish tradition of illustration and picture books. The curators will talk at the opening. The exhibition moves to The Library of Blågården opening on the 14th of March. 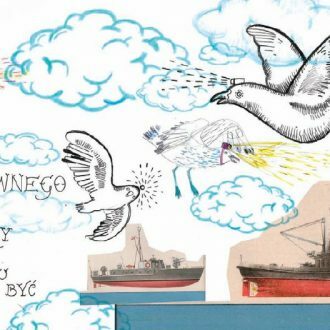 There are workshops attached to the Polish illustration project, which will be held at both venues. A publication with further material about the subject has also been produced. The project has been developed by the Baltic Sea Cultural Centre in Gdańsk with support from the Polish Ministry of Culture and National Heritage under the Promotion of Polish Culture Abroad 2018 – Promesa program. Dokk1 and the Danish Cultural Institute are partners of the exhibition. Since the 50’s Polish illustrators has consistently produced high quality graphics for the international book market, establishing what has been called “the Polish school of illustration”. Look! 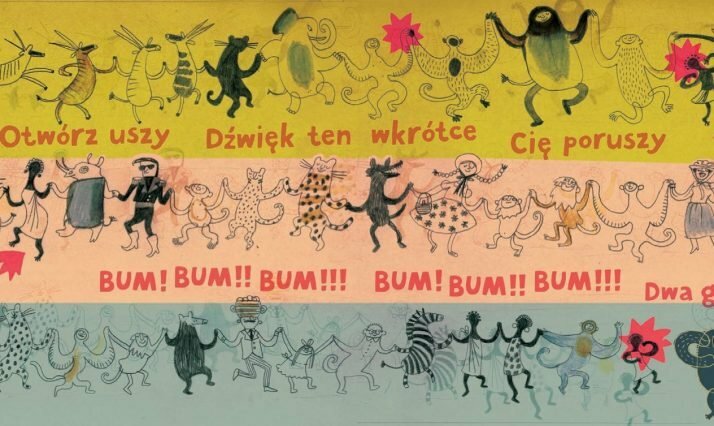 Polish Picture Book! shows the variety presented in the Polish artwork. The exhibition is aimed at children as well as adults, and at people with a professional interest as well as those who simply loves beautiful books. With one of the most prolific illustrators, Bohdan Butenko, as the starting point, the influences between different illustrators are traced. And the humour and great creativity that are two of the most important trademarks of the tradition, are made clear, shining through in the individual pieces. The diversity of the material, further shows how much Polish graphics has to offer. Countless prizes has been awarded to the artists of the exhibition. Grazka Lange is Head of the Department for Illustration at the Academy of Art in Warsaw. She has designed more than 80 acclaimed books and has been given many national and international awards. Aleksandra Cieslak is an author, illustrator and graphic artist. She has written for children as well as for adults, and has been nominated for a prize at the Bolonia Children’s Book Fair as well as for the Astrid Lindgren Memorial Award. Marianna Oklejak has designed books, posters and album covers. Her illustrations has won several awards and she was a finalist in the South Korean competitions, the CJ Picture Book Award, 2010 and Nami Island, 2017. Malgorzata Cackowska teaches at the Pedagogical Institute at the Department for Philosophical and Cultural Studies of Education at the University in Gdansk. She works as a consultant for different partners. Anita Wincencjusz-Patyna is a historian, art critic, and Associate Dean at the Faculty for Painting and Sculpture at Wroclaw Art Academy. She is the author of Station:Illustration. The Polish Book Illustration 1950-80. Artistic Ideas and Realizations.